Submitter: First of all, 1985. Cover, design, everything is old-fashioned and faded. Second, training your cat to come when called? If you want a dog, get a dog. 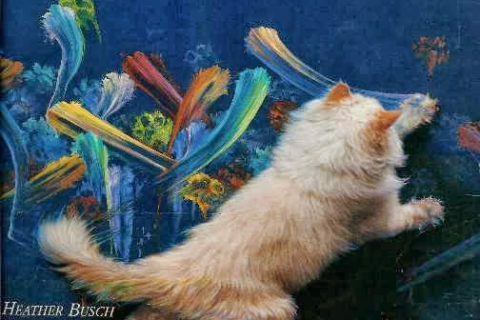 And finally… doesn’t seem like the program worked on at least one cat. 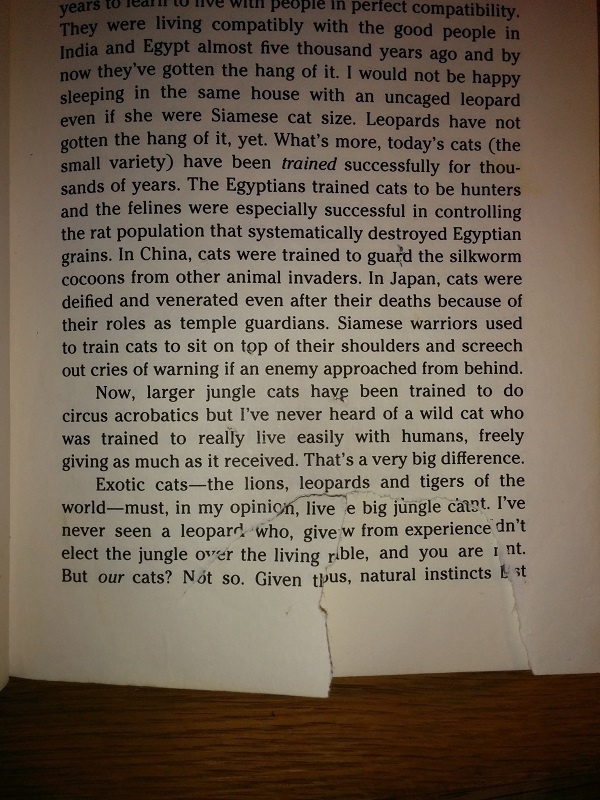 Page 7 is not only clawed up but missing a big chunk. It’s a weeder! Holly: Here’s a throwback to a title we featured back in 2011. Apparently a few copies got missed in your weeding routines since then, so here it is again five years later. As far as cat training goes, once kitteh finds the litter box, you’re basically good to go. Hehe. It *is* possible to train kitties though. I’ve trained my kitty and use her to take pics for book promotion, cause let’s face it. People like kitty pics on the internet. Hey, my cat comes when called and also does a pretty snappy sit-stay. I’ll admit, I’m more of a dog person, and the cat really belongs to the dog, so I think we just kind of raised him as a dog. 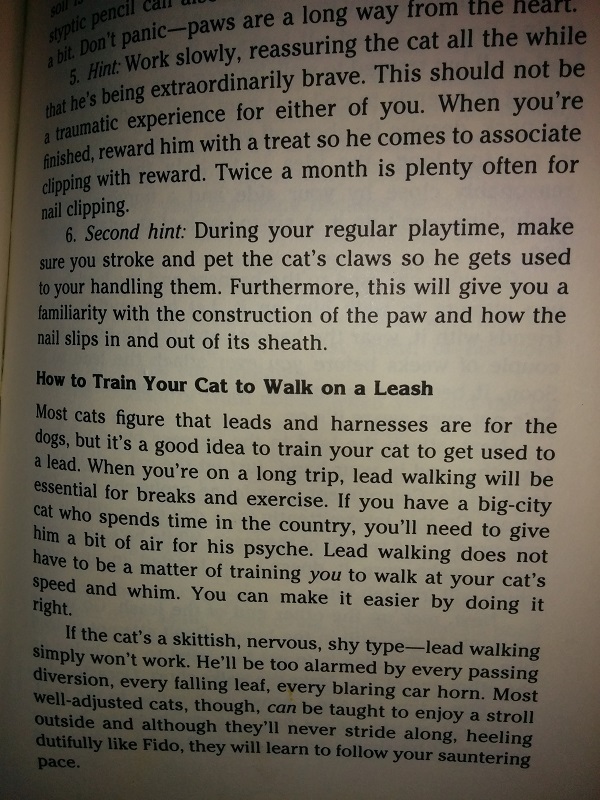 Teaching a cat to come when called is easy. You just have to wait until you’re pretty sure the cat wants to come in anyway. My cat also knows that if he wants to go out after dark, it will jolly well be on a (long, retracting) leash, because I don’t trust him. 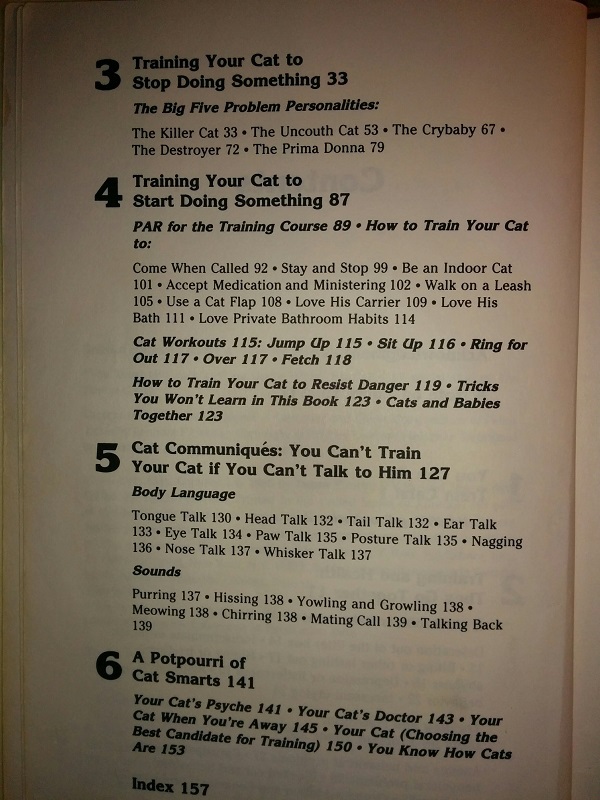 Decades ago in the 70’s, I owned a book on how to train your cat. The secret was to starve them for 24 hours and then reward them with food if they did what you wanted them to do. On the other side, one of my cats trained me to move to the couch each morning if I wanted to sleep past sunrise. 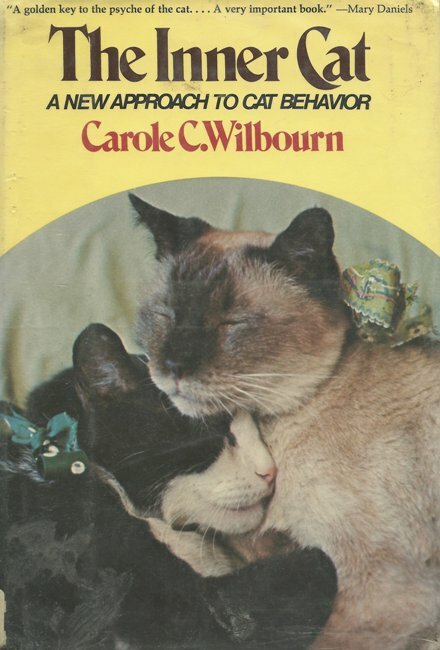 One person for the first cat in the bedroom, and the other person for the second cat on the couch in the living room. Thought-bubble above cat’s head: “Well, duh!” You must maintain 3 litter boxes, then, ’cause we have 1 cat who requires 2 (see thought-bubble). 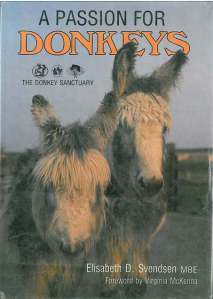 Where can I get a copy? 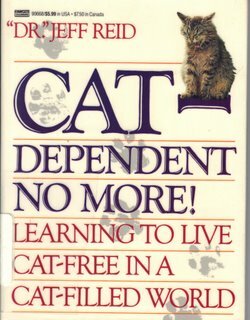 `I want my cats to read it. Ummm tongue talk??? Yikes not sure I need to learn that.